Here IS the Perfect income opportunity! 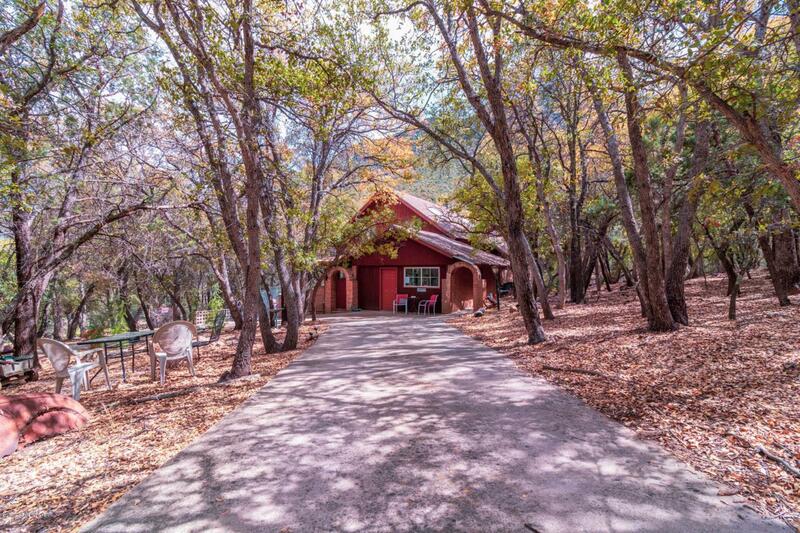 Ramsey Canyon Cabins consists of a Main House and TWO CABINS on 8 Lush Wooded Acres totaling 6 bedrooms and 5 baths located in Ramsey Canyon, the Hummingbird Capital of USA! Located at an elevation of 5500' and fashioned from a small cabin in the Canyons, these THREE meticulously cared for Arizona cabins for sale are unique and comfortable respite from the world. In total there are 3 buildings, each with its own character. Guest rooms decor are clean and rustic, and thoughtful outdoor spaces allow guests to enjoy the four seasons relaxing near the fantastic stream or in shady and private areas. Absolutely gorgeous, wooded acreage causes you to feel you're in your own private oasis, away from the rest of the world. Must see to appreciate!